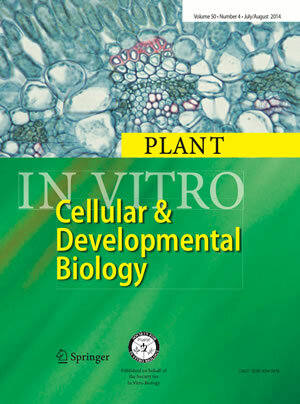 In Vitro Cellular and Developmental Biology – Plant (ISSN 1054-5476) publishes timely, peer-reviewed papers for the growing body of researchers involved in cellular, molecular or developmental biology using in vitro grown or maintained organs, tissues, or cells derived from plants. The journal provides original research devoted to the advancement and dissemination of basic and applied knowledge and is indispensable for agricultural biotechnology researchers, industrial scientists, university scientists, and graduate and post-graduate students. Devoted to plant cell and tissue culture and biotechnology research, this bi-monthly publication incorporates two special issues of the official journal (formerly Plant Tissue Culture and Biotechnology) for the International Association for Plant Biotechnology (IAPB). Topics covered include: biotechnology/genetic transformation, developmental biology/morphogenesis, micropropagation, functional genomics, molecular farming, metabolic engineering, plant physiology, cell biology, somatic cell genetics, and secondary metabolism. Mini-reviews, invited reviews, symposium and workshop proceedings from the annual SIVB Congresses, and book reviews are also included. 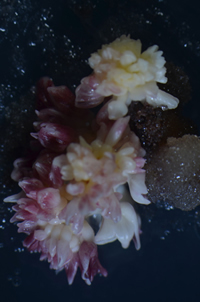 In Vitro – Plant is published bi-monthly with meeting abstract supplement in the spring.